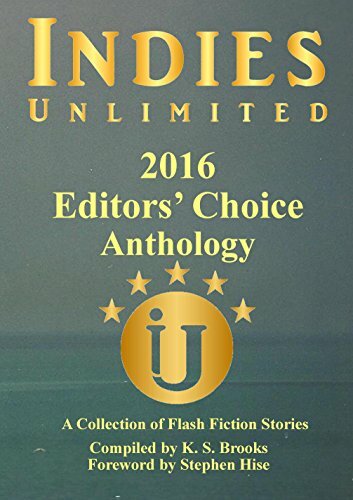 I’m excited to be part of the Indies Unlimited 2016 Editors’ Choice Flash Fiction Anthology! My flash fiction piece titled “Solo” won one of the weekly flash fiction contests last year and was chosen to be included in the anthology. Please take a look, there are lots of fun short pieces to read. It’s free today and afterward only $.99 for Kindle! This entry was posted in Book news, Writing and tagged fiction, flash fiction, writing. Bookmark the permalink. Congratulations, Cindy! I just downloaded a copy. Thanks for the link. Im really looking forward to reading your story. Yayy, Cindy! It’s a great story. Cindy and I both have stories in the Indies Unlimited 2016 Editors’ Choice Anthology. Check it out.